Precision V-shaped tungsten carbide sharpening elements in the head of the sharpener restores blades with just three or four strokes - The quickest and easiest way to put a razor-sharp edge on a knife. 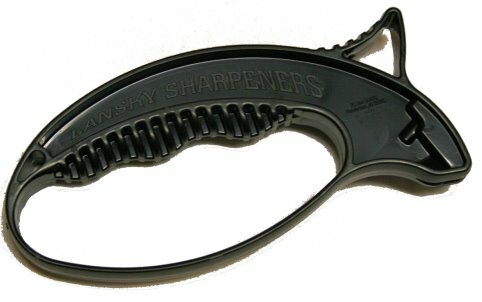 Designed with an ergonomic grip, finger guard and thumb rest, the Quick Edge Sharpener is both safe and comfortable to use, right or left handed. 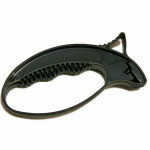 The Quick Edge Tungsten Carbide Sharpener quickly sharpens your blades. Light in weight, it can be carried in a rucksack or pocket.